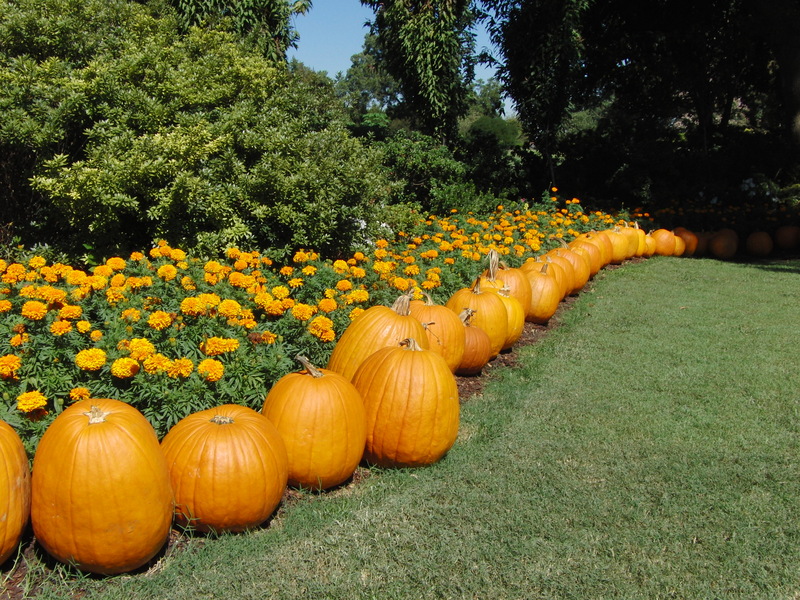 The Dallas Arboretum is a special and magical place, filled with gardens of flowers and flora! With each changing season, it brings its guest a completely different place to visit! Parking is available at the Arboretum if you arrive early for $10. Once the lot fills up, you will need to park at a satellite lot which has shuttle buses. Outside food and water is allowed. We love picnics at the Arboretum, but pack lightly, because it’s a long walk to the best picnic spots! Balls, frisbees, etc are NOT allowed. 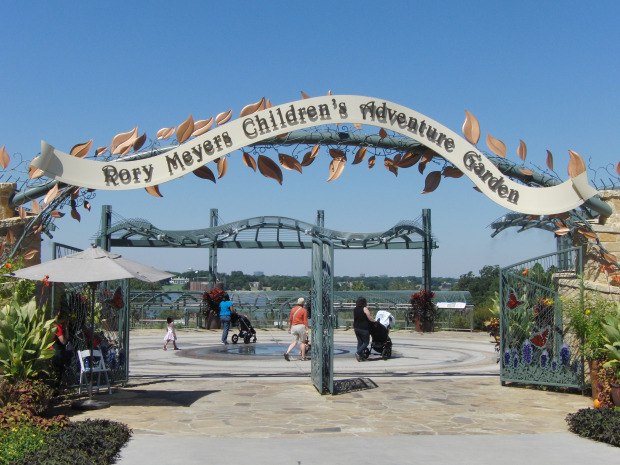 Wagons ARE allowed at the Dallas Arboretum, but NOT in the Rory Meyers Children’s Adventure Garden, however, strollers are permitted in both. Visit their website for specials during the week. My kids love to start our trip to the Dallas Arboretum with a visit to Hypnotic Donuts, located just down the street from the Arboretum! We love the special donuts, like the Evil Elvis and Breaking Bad, while my son loves their chicken and biscuits! Click HERE to visit their website! You can draw or paint a picture of the flowers, or bring some paints, crayons and paper and let your children, or you can just sit and watch as others do it! It’s fascinating to me to watch a truly gifted artist bring their own vision to life on paper! 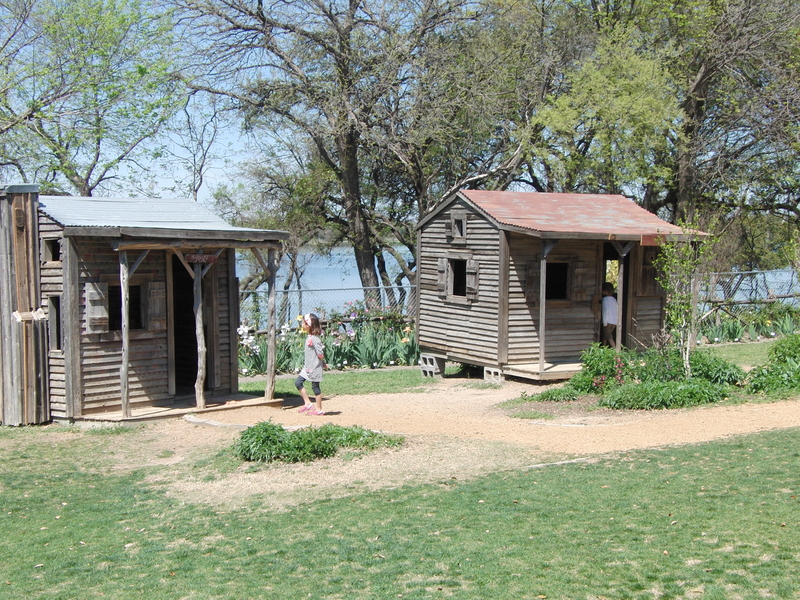 The gardens also has Texas Towns, reconstructed cabins, many of which children and adults can explore together. This is one of my favorite spaces for a picnic lunch! You can bring in food and ice chest to the gardens. Since there is so much walking, we always choose a brown bag lunch and drink, which we can throw away after eating and not need to carry around with us! 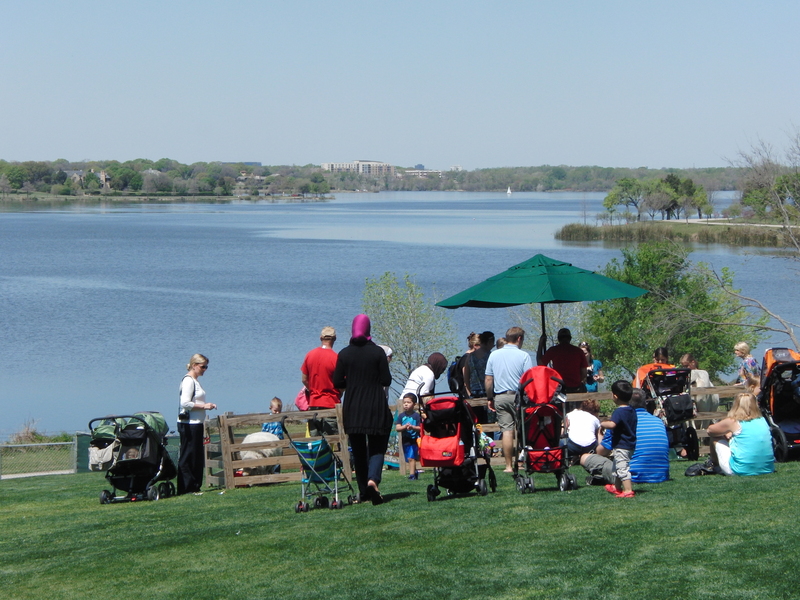 That’s beautiful White Rock Lake in the background. The homes across the lake from the Dallas Arboretum are amazing! 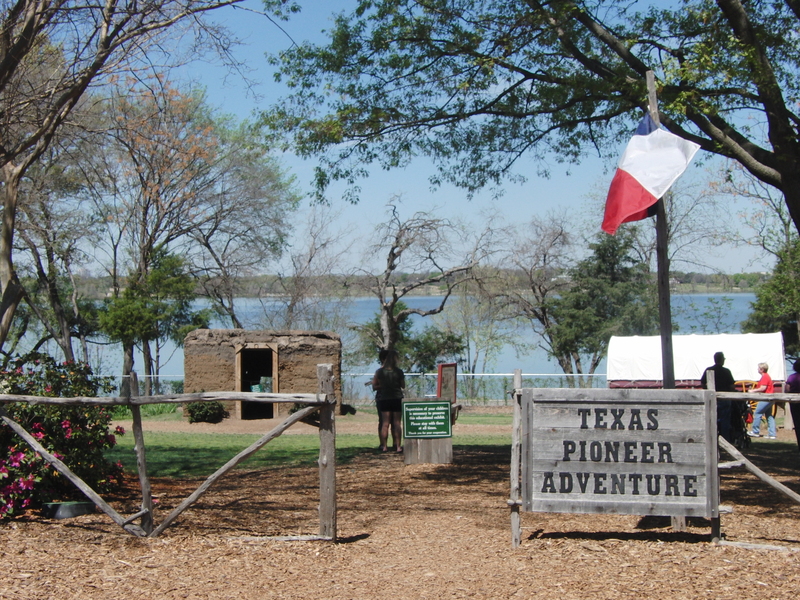 The Texas Pioneer Adventure includes a covered wagon, tee-pee, sod house and more. Children love running under the beautiful trees. 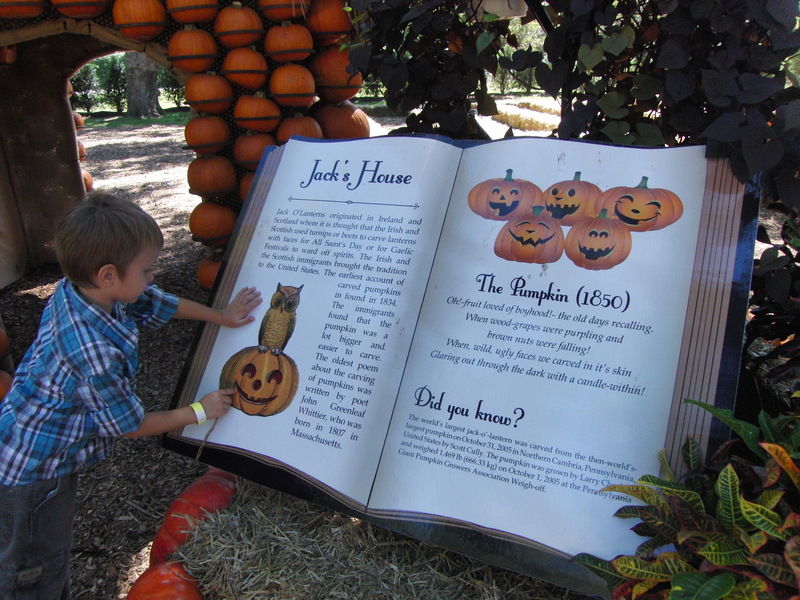 A Field Journal allows children to make quick renderings of the different plants and flowers they see on their visit. By drawing the plant, they are learning the different parts of specimens, unlike with a photo. 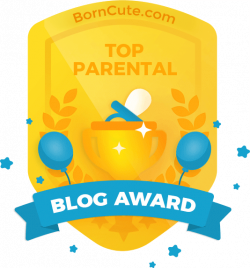 Click HERE for a fun journal to make with your children. 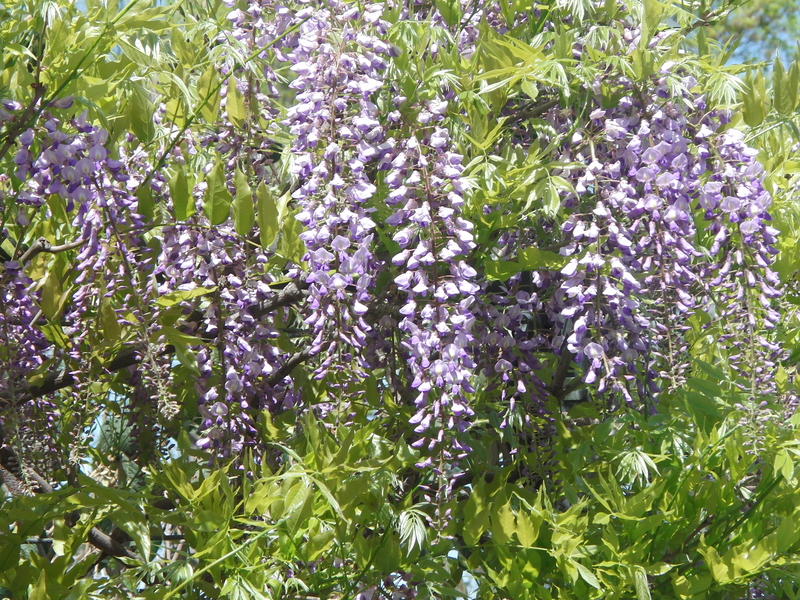 The beautiful (and edible) blooms of the wisteria are one of the gift of Spring! Sculptures abound throughout the grounds. The Arboretum is made up of large open areas, and small little gardens tucked away for quiet contemplation. The Poetry Garden is one of my favorites! 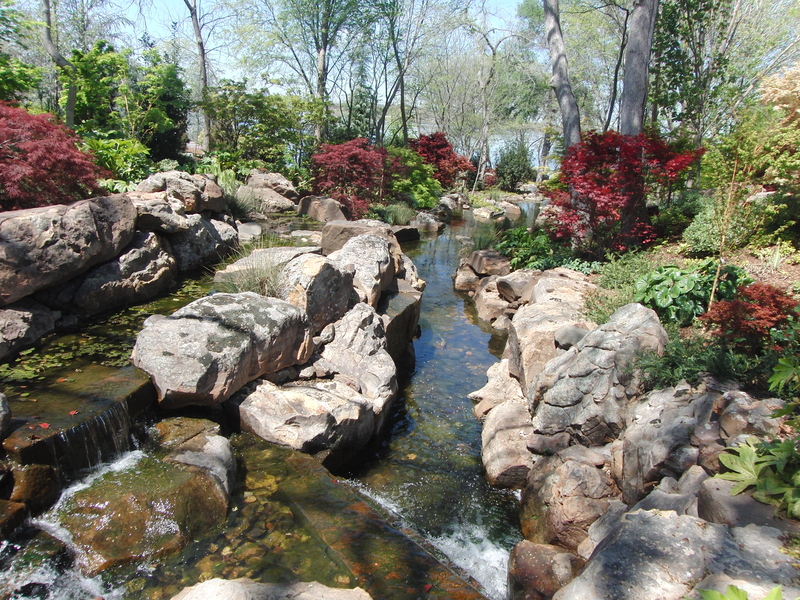 The park is also filled with some amazing water features, both seemingly natural, and man-made. Don’t forget to stop and smell the roses, and all the fragrant flowers of the gardens! I love visiting with my little boy, because he always reminds me to not just appreciate the flowers visually but to take in the fragrance of each one! Throughout the gardens, the scent of the flowers is amazing, but it’s nice to take the time to smell each one’s own distinct fragrance! 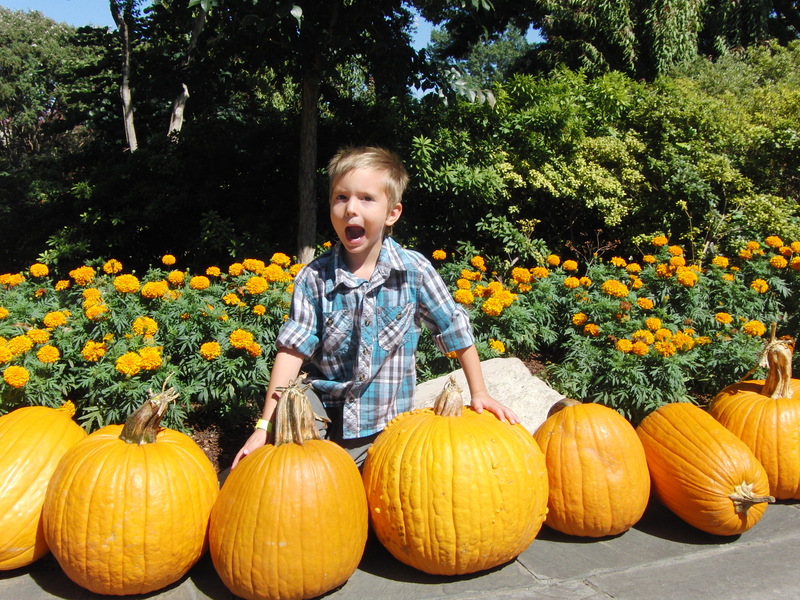 Enjoy the gardens on Mondays for special activities with the youngest visitors! Face painting and a Petting Zoo from Country Critters in Alvarado made for a perfect morning with just me and my little boy. 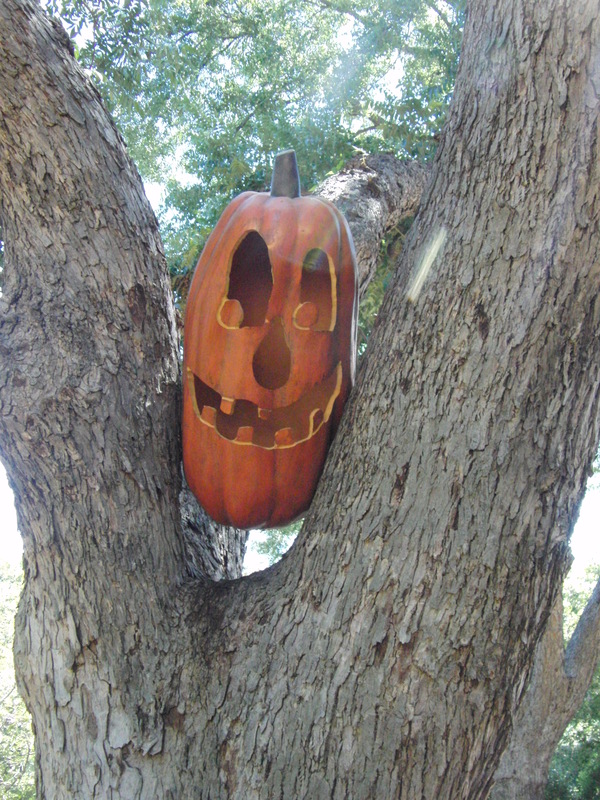 Click HERE to read a previous post about Country Critters. 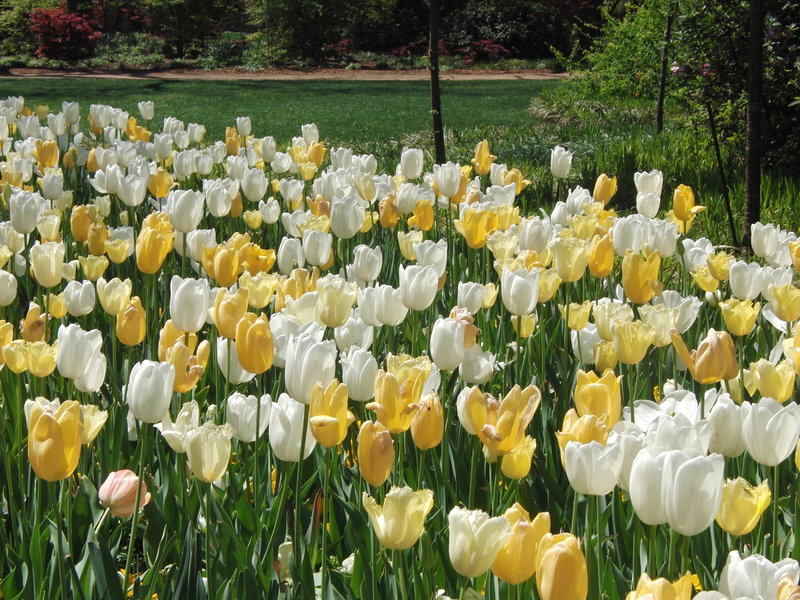 My Mommy Tip: Check with the Arboretum for the dates of Mommy and Me Mondays. 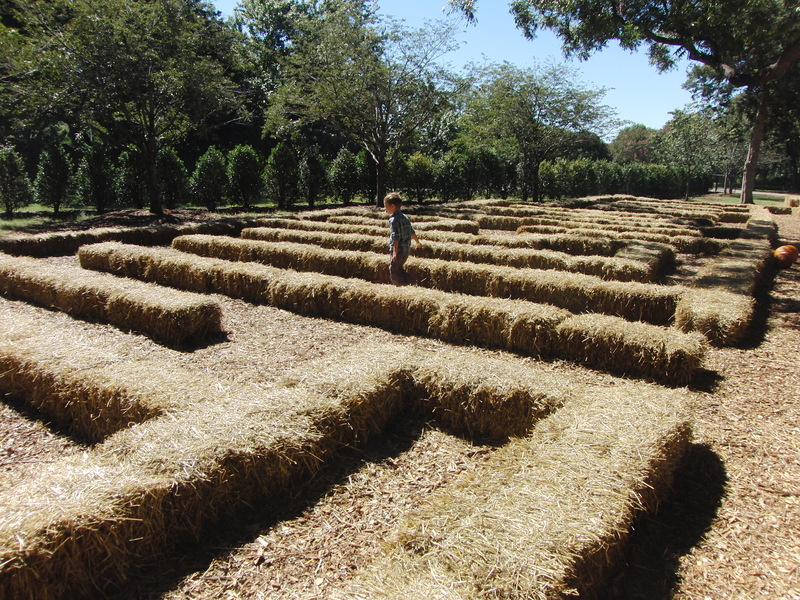 Located inside the Dallas Arboretum, the Children’s Adventure Garden requires an additional ticket to enter. For more information, please click HERE. During Christmas, the Arboretum displays 12 magical gazebos, each displaying a scene from the Christmas carol, The 12 Days of Christmas. The DeGoyer House also has a special presentation of a collection of nativity scenes from around the world. The Artistry of the Nativity is open from 10am – 4pm daily. 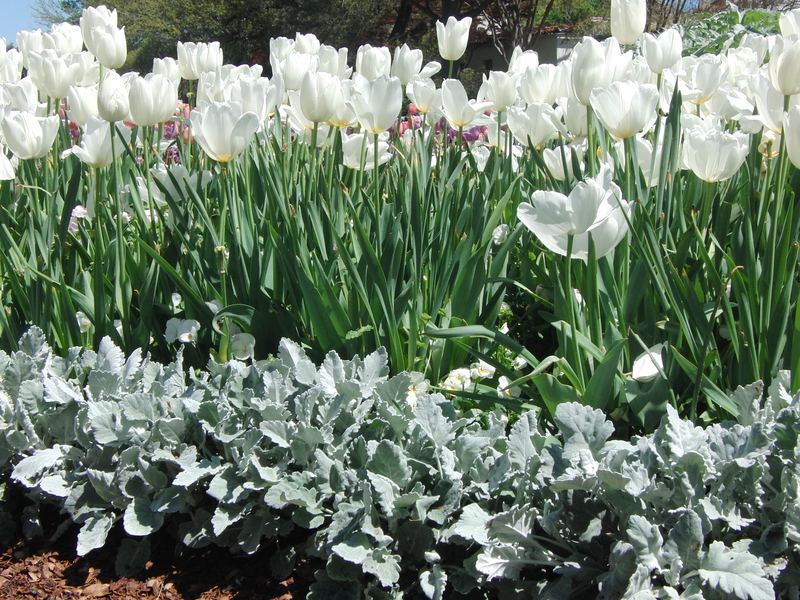 On Saturday and Sundays, the gardens offer live music, presentations, visits with Santa and more! On Sunday – Thursday evenings, and some weekends, millions of lights twinkle in the garden for the 12 Days at Night! Parking for The 12 Days at Night is included with your ticket. Open from 6-9pm, it is a come-and-go event, but arrive early enough to see everything! We were inside the Arboretum for 2 full hours, not counting parking, etc. 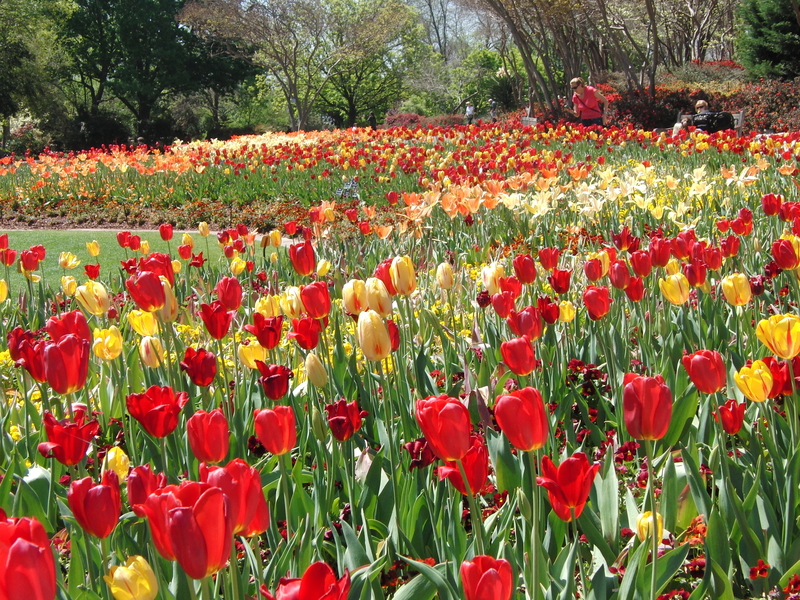 Allow a little extra time for traffic and parking at the Arboretum. On Monday and Tuesday nights children can make a craft from 6-8pm. 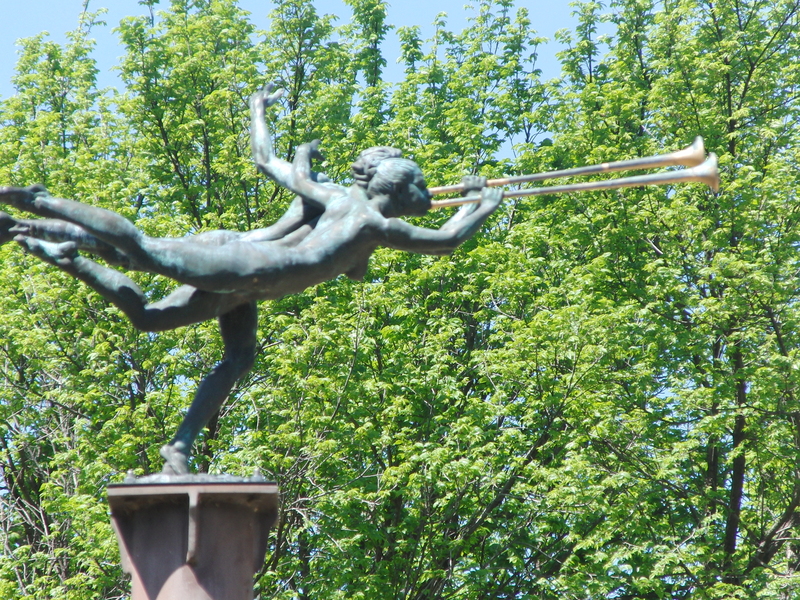 Each night you will find music being played in the garden! My kids were thrilled to get to meet Blitzen, a real live REINDEER! I love learning something new, and her handler explained that both male and female reindeer grow antlers! After your visit, be sure to head down to the Swiss Avenue Historic District to see the Christmas lights on the beautiful old mansions! Lakewood is home to the Lakewood Theater and you can find plenty of great places to eat in the Lakewood Shopping Center. Unfortunantly, in 2015, Electric Lizzyland (from The Great Christmas Light Fight) did not decorate this year, but promises to be back in 2016 and better and brighter than ever! Click HERE to visit her facebook page for updates. 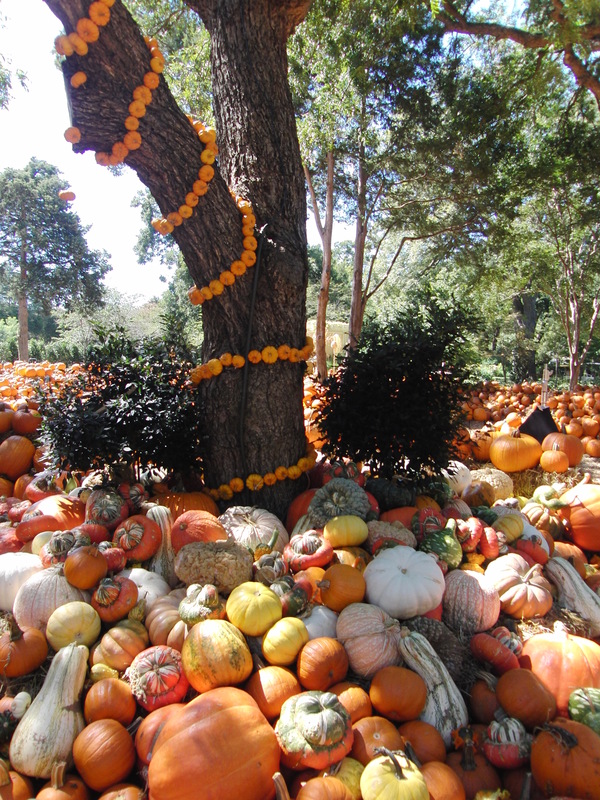 It would be hard to see more pumpkins in one place than what you will find at the Dallas Arboretum during the fall, they have over 75,000 pumpkins and gourds! 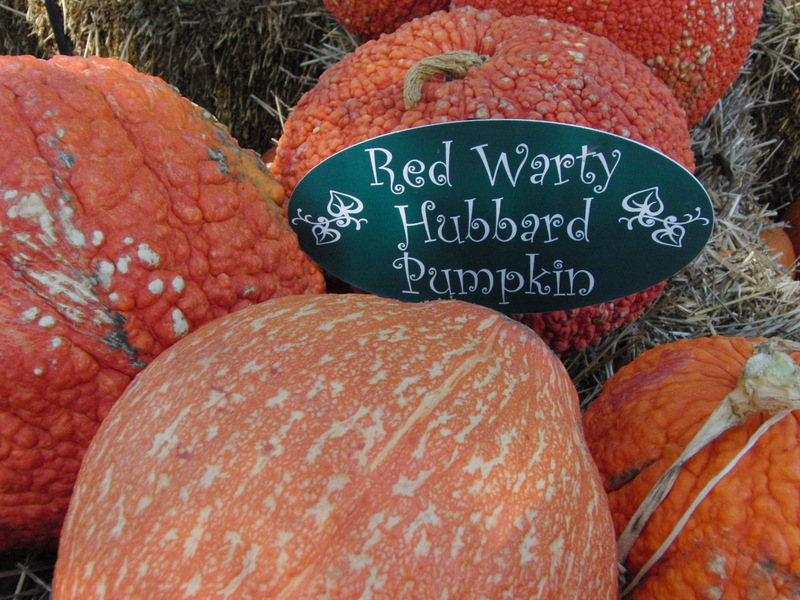 Don’t forget your camera, because with that many pumpkins there are great photo opportunities everywhere! 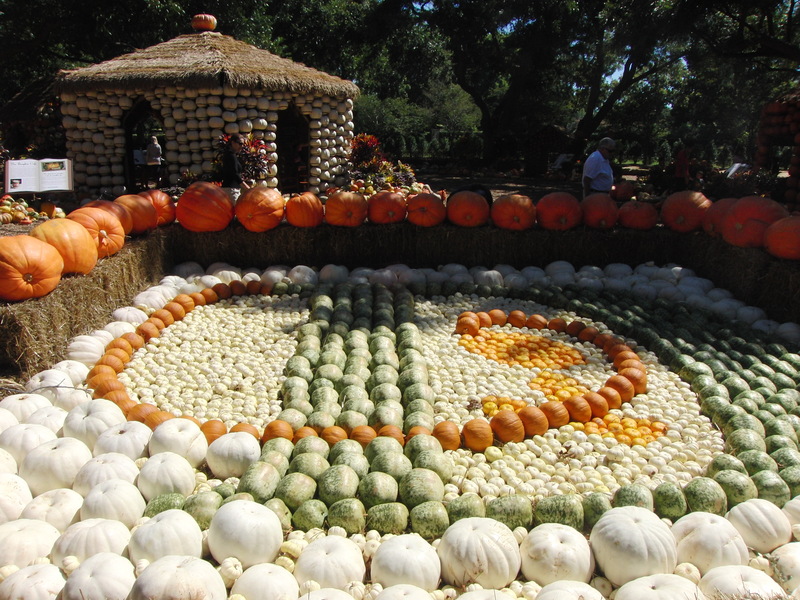 I love how they use the pumpkins as borders for the garden beds! 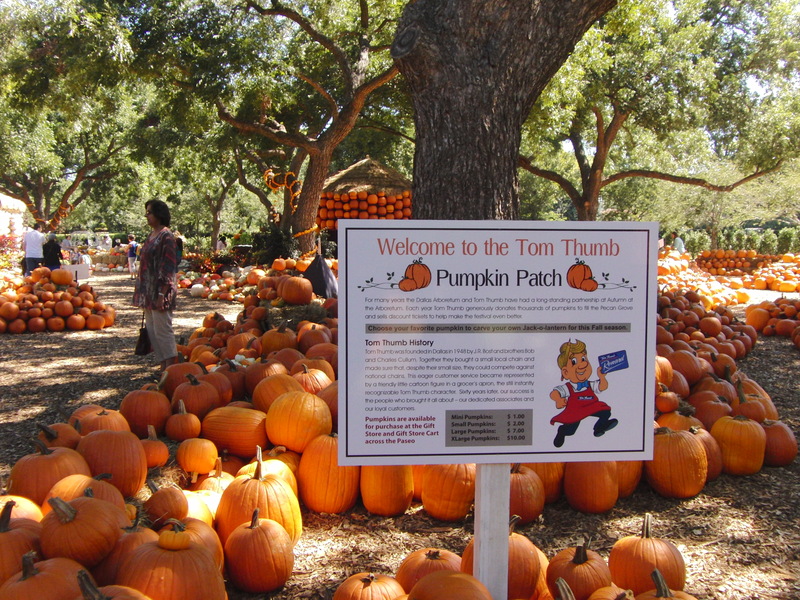 We love the Tom Thumb Pumpkin Patch! 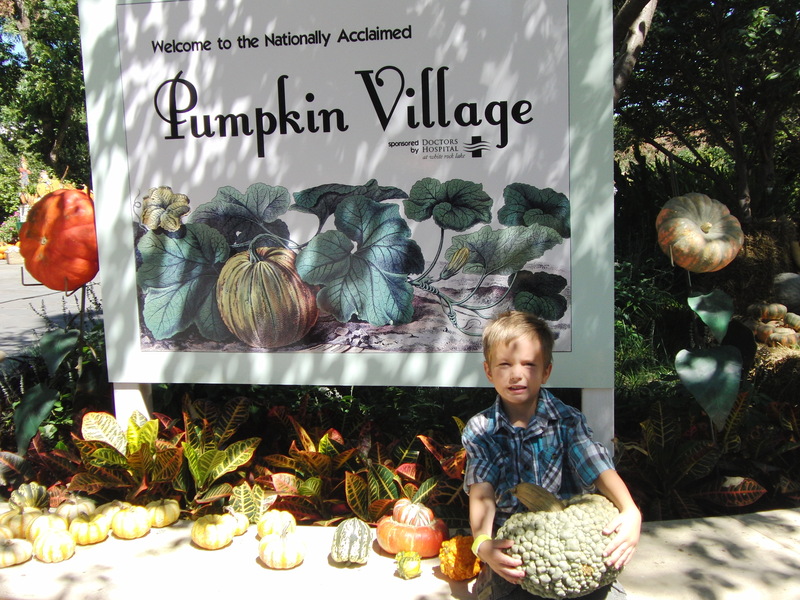 We always purchase a pumpkin as we are leaving, so we don’t have to carry it around all day! I love the BIG books! 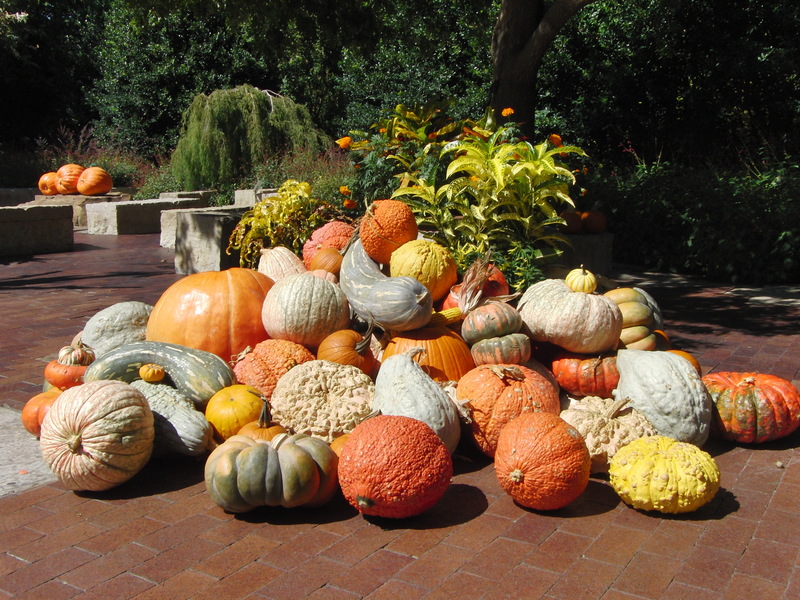 Best of all, there is NOTHING spooky during Autumn at the Arboretum! 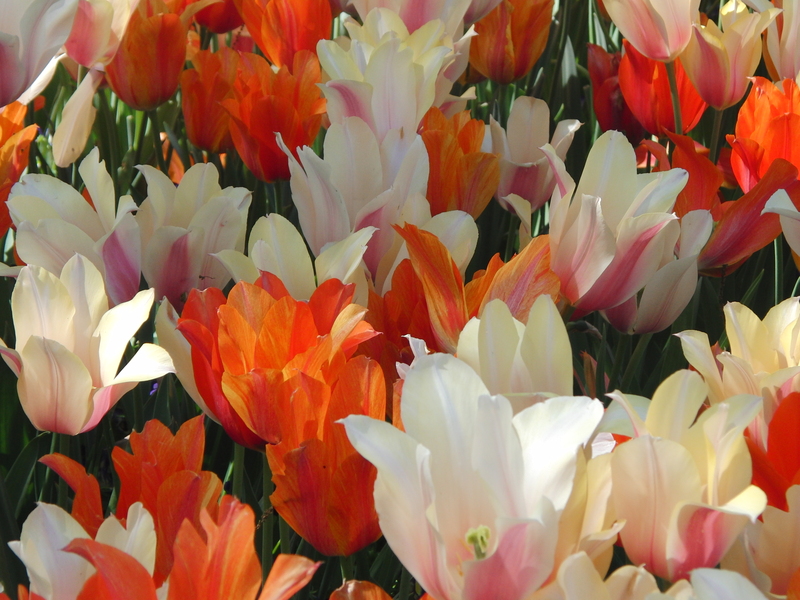 Each Spring, the Dallas Arboretum is home to Dallas Blooms! Because it is so beautiful, even a mediocre photographer like myself can take some really good photos! On any visit, you can find really good photographers out there. Taking pictures for weddings, engagements, of beautiful children dressed in designer clothes, and of course, of just the flowers! 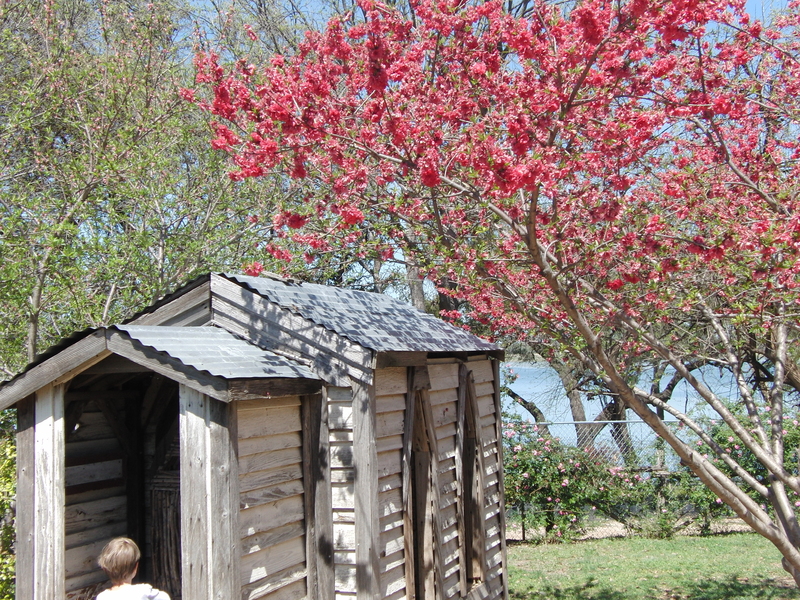 We visited during Dallas Blooms, when the entire gardens are dressed up! 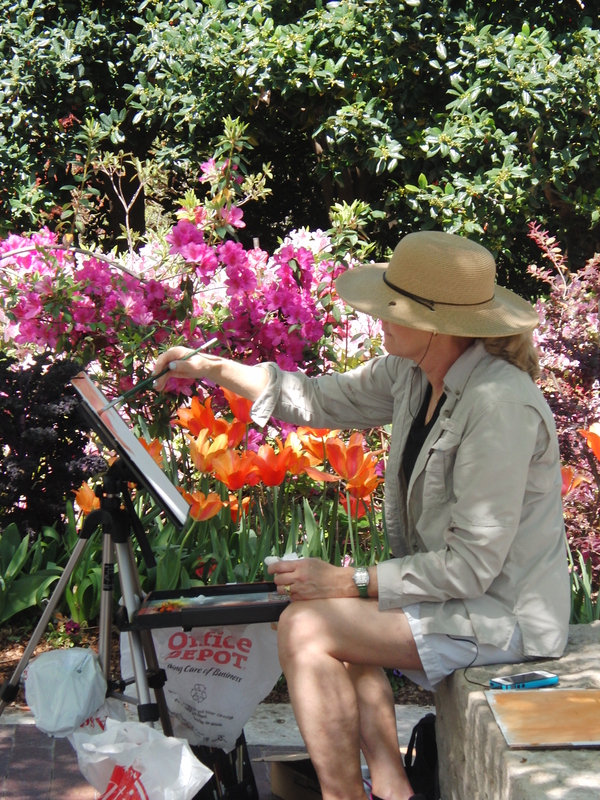 But there is so much more to do at the Dallas Arboretum than just look at flowers, although they do make an amazing backdrop! The Lot is a really fun restaurant with a HUGE sandbox, games and the most fun basketball goals, ever! They even have a dog park and a huge patio! Click HERE for more information! Beautiful shots of the flowers! 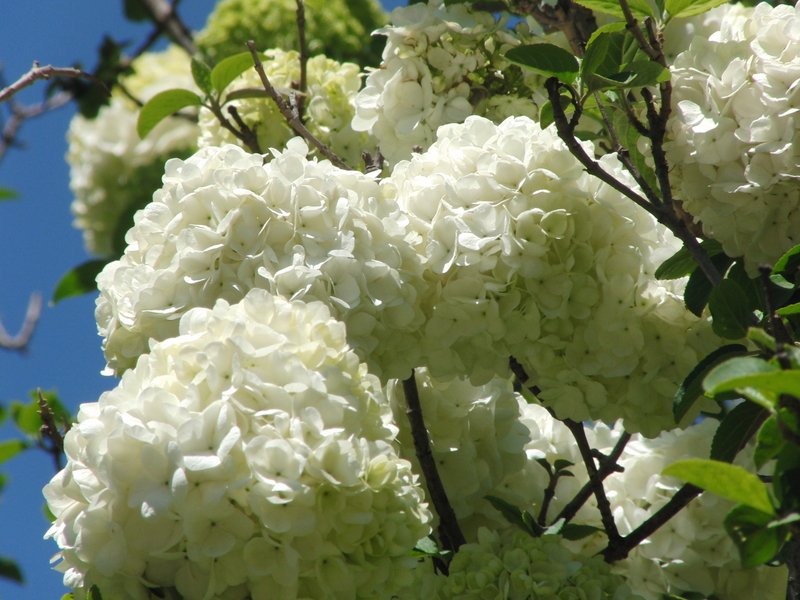 Arboretums are such perfect places to visit during Spring and those blooms are just gorgeous. I can imagine how good it smelled there. 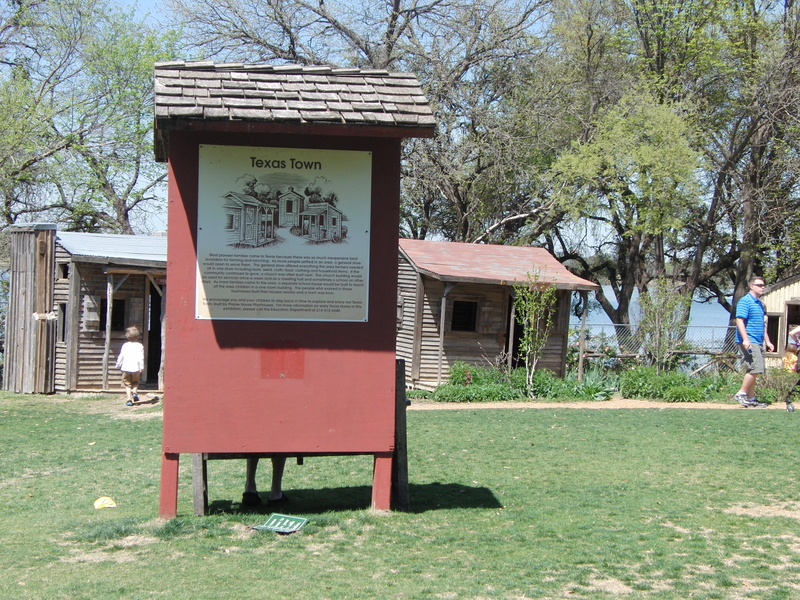 I love those Texas Towns! Who wouldn’t want to play at Toad Corners? It looks fun! I missed out on the blooms this year. I guess I’ll have to make it next year! Beautiful shots!